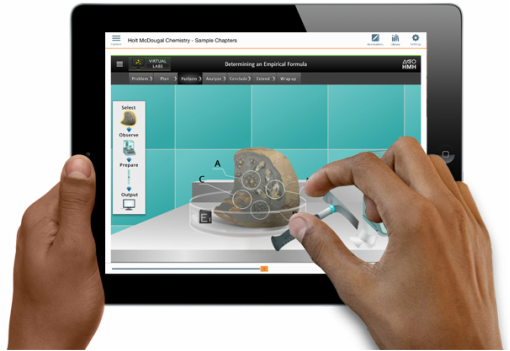 ✓ All videos, interactive learning, and course management tools are built into your textbook. ✓ At any time, you can customize and add your own content. ✓ Designed for minimal prep and easy teaching, so you can focus on what you love to do. ✓ Anywhere, anytime, on or offline. ✓ Accessible to your students at a price point everyone can appreciate. Everything you need to start teaching from day one. You and your students will have your own modern, cloud-based, easy-to-use Learning Management tools that come fully integrated with your Trubook textbook. Trubooks can easily be tailored for a perfect fit. Use the tools built into the Trubooks platform to customize your textbook to meet the specific needs of your course, keep it relevant to local interests and in tune with world events as they happen. ​You and your students get access to the same authoring and content management tools available to all our authors and publishing partners. The resources you create can be seamlessly integrated into your coursebook(s) as needed for the classes you teach. They can also be made available for you to share with your colleagues or to be adopted by educators around the world who are using Trubooks in their classroom. Yes, make this book your own. + Add content from other Trubooks, YouTube, etc. You'll find it easy to adapt this book to fit your syllabus and your teaching style. Or, you can simply use it as it is. Easy prep and readiness for this semester and the next. + Make resources you create available for others to adopt! Wherever it is possible you will have auto-grading and can set personalized auto-feedback! You will love how easy and efficient it is to manage even a class of 300 students. Your students will appreciate getting your feedback to their assignments and assessments directly in the context of the content. Dr. Cutler Cleveland describes the content, features and benefits of the Trubook Energy & Climate: A Primer. 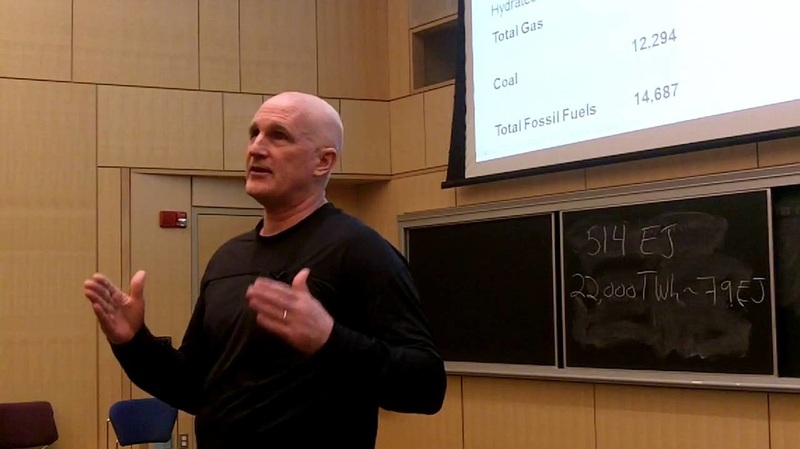 Dr. Cutler Cleveland gives a lecture on fossil fuels and their impacts on the climate over time. Dr. Cleveland is the Professor of Earth and Environment at Boston University, where he also is on the faculty of the Center for Energy and Environmental Studies. Dr. Cleveland is the co-author of Environmental Science, the web's first entirely electronic introductory textbook on the subject, which was authored and published on the Trunity eLearning Platform. 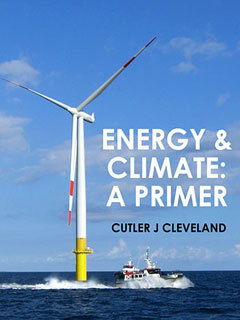 Dr. Cleveland is also the author and editor of acclaimed reference works on energy that include the Encyclopedia of Energy (Elsevier, 2004), winner of an American Library Association award, the Dictionary of Energy (Elsevier, 2005), the Concise Encyclopedia of the History of Energy, and the Handbook of Energy (2 vols.) (Elsevier, 2013, 2014). He is the Founding Editor-in-Chief of the Encyclopedia of Earth, named the Best Geoscience Website by the Geoscience Information Society. Dr. Cleveland is the recipient of the Adelman-Frankel Award from the United States Association of Energy Economics for “unique and innovative contributions to the field of energy economics.” His research on the valuation of ecosystem services, funded by the National Science Foundation, is highlighted in NSF’s Top Discoveries series. Dr. Cleveland has been a consultant to numerous private and public organizations, including the Asian Development Bank, the United Nations Commission on Sustainable Development, Charles River Associates, the Energy Information Administration, and the U.S. Environmental Protection Agency. Dr. Cleveland holds a B.S. in Ecology from Cornell University, a M.S. in Marine Science from Louisiana State University, and a Ph.D. in Geography from the University of Illinois at Urbana-Champaign. Your questions and comments are welcome. We will only publish with your permission. Please use your .edu email address. Smart textbooks for modern teaching. “A stable, predictable climate is an essential life support function of the Earth. Human use of carbon-based fuels such as oil, natural gas, and coal has increased the quantity of greenhouse gases in the atmosphere that warm the planet. The increase in the Earth's temperature since 1850, and the increase that is forecast to occur over the next 100 years, pose grave risk to all nations. The "climate problem" and the "energy problem" thus are intimately linked, and must be tackled together." Q: Do students have to pay for the software in addition to purchasing the content? A: No. Students pay only for content. The use of the platform by students is free. Q: Where can I find more information about the experience for authors, teachers, and students using Trubooks? A: An overview can be found at Why Trubooks? More in-depth tutorials for using the Trubooks platform can be found at our Support Portal http://www.trunity.net/support/. Q: Can I embed assessments such as assignments and quizzes into my content? A: Yes. The Trunity platform enables authors and instructors to create their own test questions, assignments, and other assessment material, and place them in the content where appropriate. Q: I have substantial lecture notes and a lab manuals that I would like to provide for my class. Can I include it in the Trubook for my course? Q: Can students access content when they do not have access to the Web? A: Yes, the Trunity Mobile app enables a student to download select content or a complete digital textbook for offline use. Q: Can students make PDFs of articles or chapters on the Trunity platform? A: No. Our platform does not support PDF downloads due to the inability to control the dissemination of content once such a download is made. The ability to share electronic PDFs, and to print/copy physical forms of a PDF, render it impossible to control the copyright and royalty rights of both author and publisher. Q: I want to use material (text, images, graphs, videos, etc.) created by other parties in my content. How does that work? Q: How long do students have access to the content they have purchased? A: Higher education students have access for two calendar year from the date of purchase, while K-12 students have access for one calendar year. Longer access times can be arranged on request. Q: Where can I find more information about the experience of authors, teachers, and students for using the Trunbooks? This Trubook can be customized to fit your needs. You may select desired chapters and even combine with chapters from other Trubooks. The price is pro-rated based on content included in customized version. For more info, see our Trubook FAQ, or go straight to our Adoption Form.